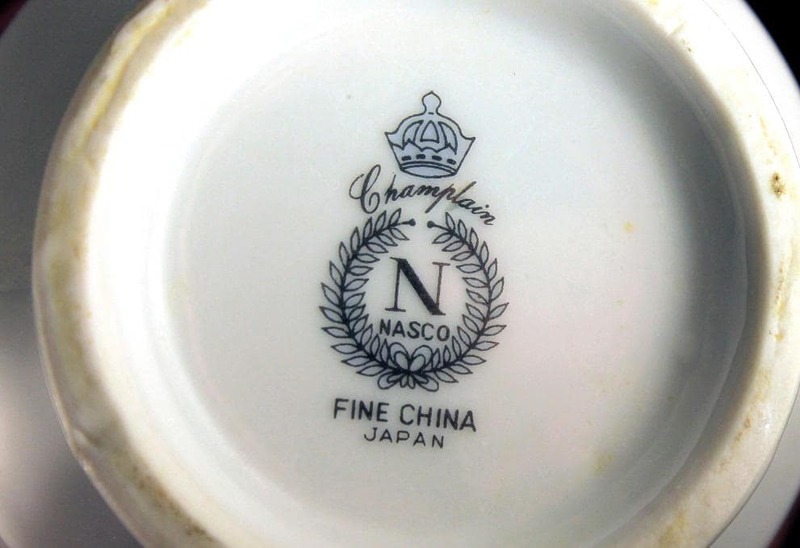 A charming creamer by Nasco and made in Japan. 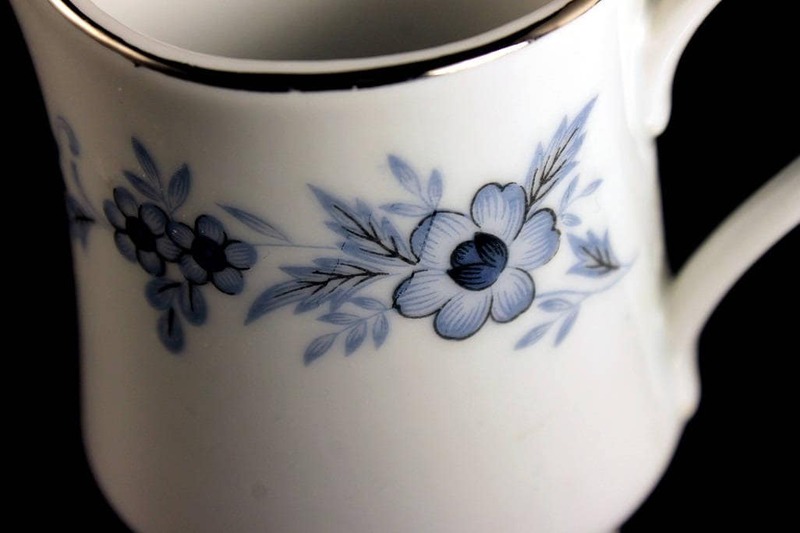 The pattern is called Champlain and consists of blue flowers on a white background with platinum trim. 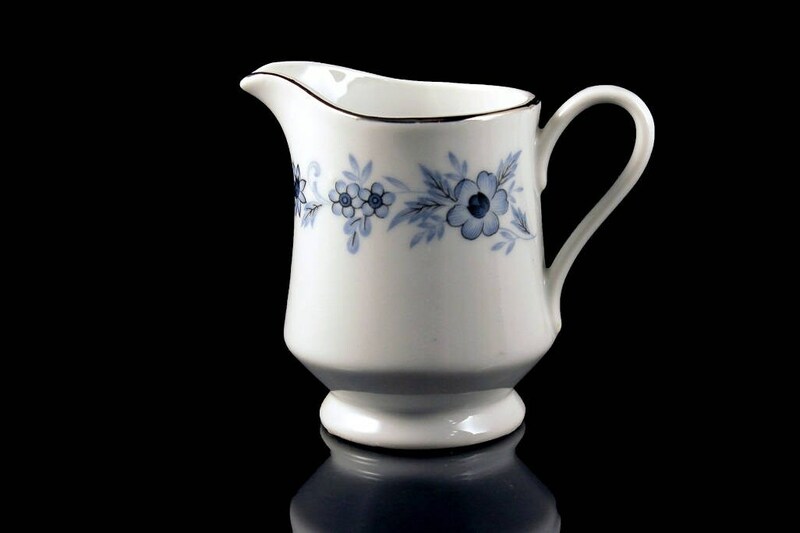 A great piece for a collector of blue and white china. 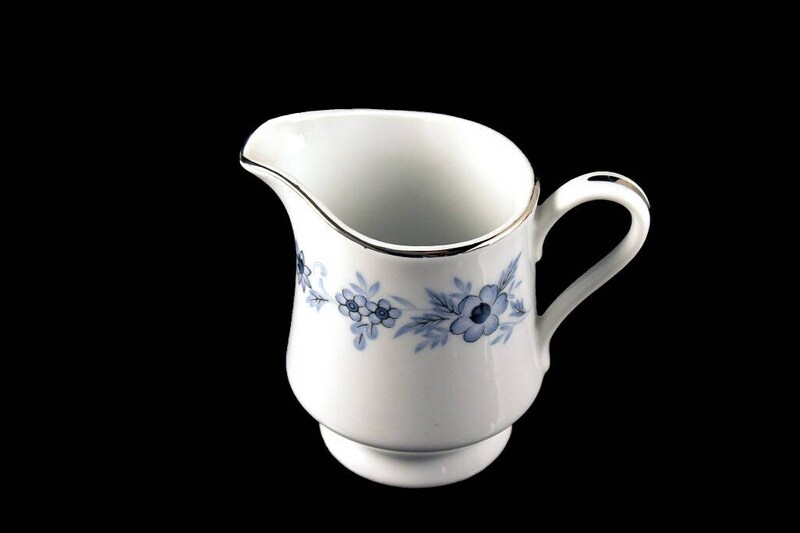 A great replacement creamer. 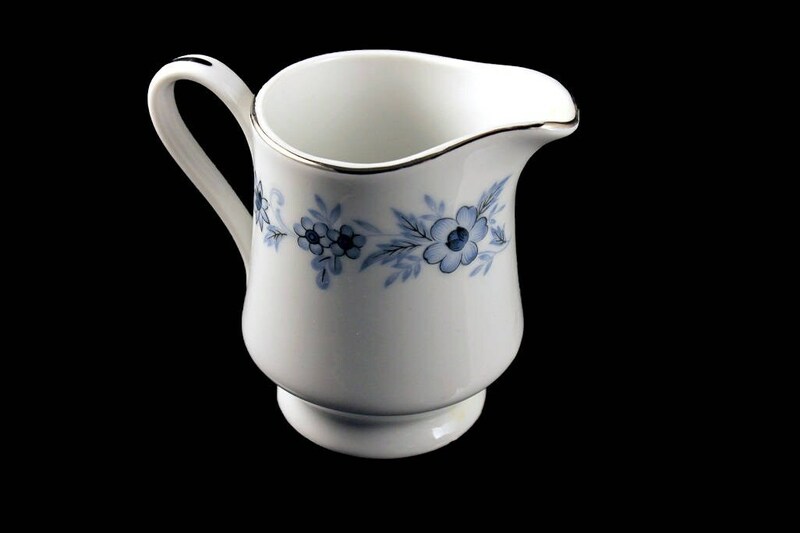 It would also make a great small jug for syrup or used as a small vase. 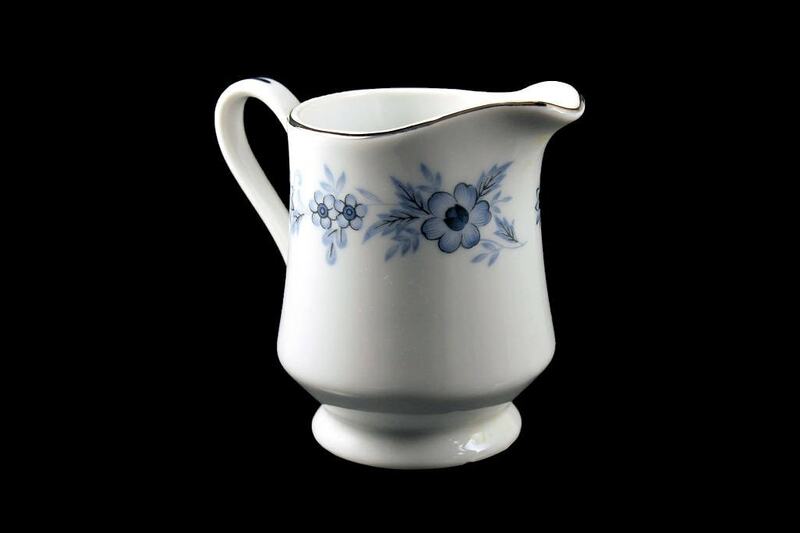 This would make a grand statement on any dining table, sideboard, or buffet table. 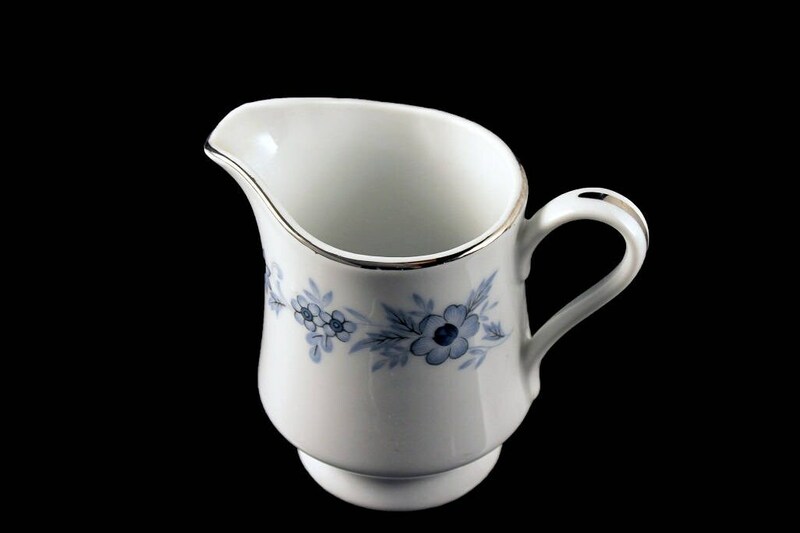 This small creamer is in excellent condition. There are no chips, cracks, or crazing.